hand painted bags with warli art. NOTE:- As per the customization price for this product varies from 3/- to 6/-. Hand Painted Bag Made From "eco" Friendly Material. Easy To Carry & Carry lot of things to your daily usage. Spacious Jeans Hand Bag with abstract design.Measurements: Length 16" Width 14"Gentle Wash.
Canvas hand painting frount n back from canvas and handle from red ragzin. 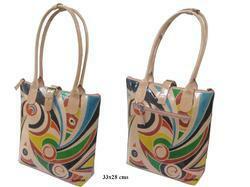 We have with us exclusive range of Hand Painted Bags. These are made up of superior quality. 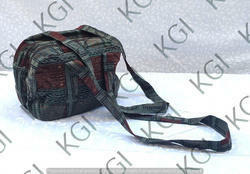 These bags are available in various styles & colours. These hand painted bags are available at reasonable prices. This handbag from the house of Vkalart will help you keep your essentials handy while you are on the move. Wholesale and retail available but price may vary a bit.